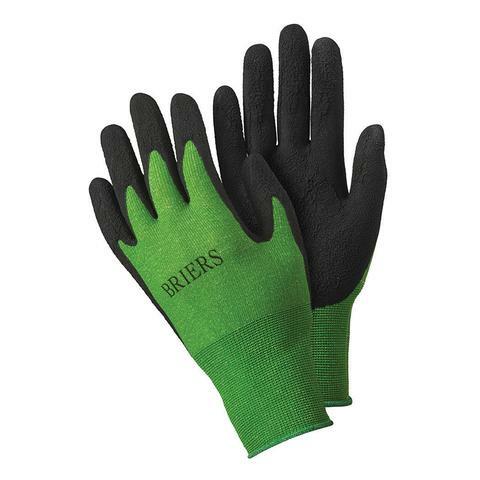 Improving safety and comfort while gardening, the Briers Green and Black Bamboo Gardening Gloves are an ideal choice for both professional gardeners and hobbyists. The deodorising properties and humidity moderation help to eliminate odours and keep hands cool, ideal for long hours spent outdoors, while the sustainable materials provide peace of mind with quality construction. The dark colour of the palms and fingers also helps to mask dirt, making them ideal for working with soil and in dirty environments. The Briers Green and Black Bamboo Gardening Gloves are available in a choice of sizes. 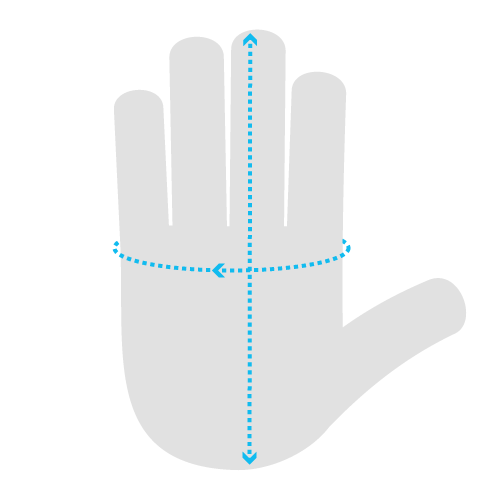 Please measure the circumference of your hand around the knuckles (excluding the thumb) with your hand open and your fingers together, and the length of your hand from the tip of your middle finger to your wrist.